Great ideas can change the world. But, they can only do so when effectively communicated. A powerful story is one of the best ways we can share our world-changing ideas. From cave paintings dating back to 15,000 BC to the next hit movie, stories fascinate us. They draw us in, move us and inspire us to act. Whether you’re on the frontline engaging customers or a manager inspiring your team at a kickoff meeting, becoming a better storyteller will help you become a more effective business professional. 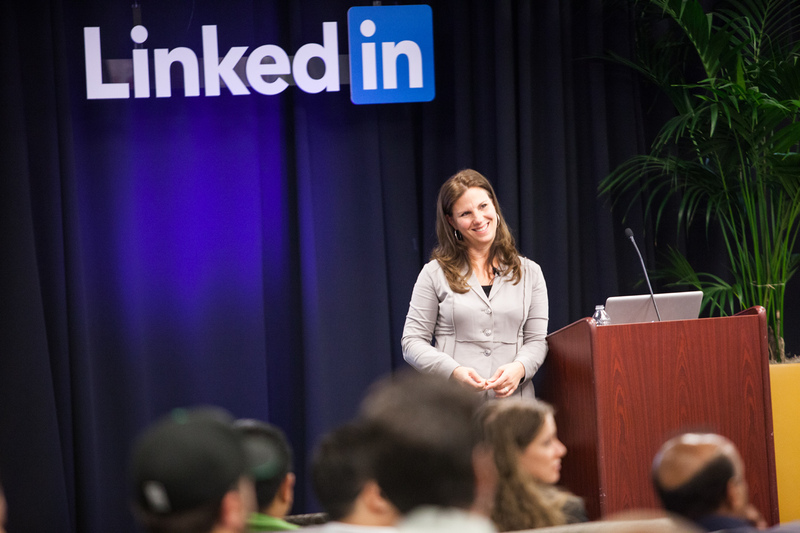 Recently, we welcomed Nancy Duarte, a renowned storytelling expert and LinkedIn Influencer, to participate in the LinkedIn Speaker Series. Nancy has created some influential projects in the storytelling industry by understanding what makes great stories great, including her work alongside Al Gore for the documentary slideshow An Inconvenient Truth. Based on her talk at LinkedIn, here are three simple lessons that will help you become a better storyteller. 1. Build a structure to your story. The shape of great communication follows a simple 3 act structure – beginning, middle and end. And, it has an undulating structure moving back and forth from what is to what could be, ending with a new bliss. Act 1 - The beginning of the story establishes the status quo (“what is”) and establishes your credibility with the audience. It then introduces the future state (“what could be”) uses drawing an identifiable distinction of the gap between what is and what could be. Act 2 - The middle of the speech moves back and forth contrasting “what is” vs. “what could be”. This contrast makes the status quo and normal unappealing and draws the audience towards an alluring future. Act 3 - In the end, communicate how amazing the future will be with your idea adopted (note – the audience remembers the ending more than any other part). 2. Understand what will resonate. Great storytellers send signals that resonate with their audience. They talk to audiences at their resonant frequency in a way that moves them. And they make the audience their hero with the goal to move their audience from one state to another through the power of story. Steve Jobs used a heightened sense of “what could be”. In his infamous iPhone launch speech, delivered in 2007, he marveled at his own products. When speaking about iTunes, he pronounced, “now, we are selling over 5 million songs a day now. Isn’t that unbelievable?" He models the behavior he wants his audience to see. Dr. King captured the moment. Dr. King’s captivating speech, “I Have a Dream”, was delivered in 1963 from the steps of the Lincoln Memorial during the March on Washington DC. Dr. King moved rapidly between “what is” and “what could be” to capture the energy of that day. He uses repetition often with “I have a dream” and concludes repeating the new bliss through powerful phrases repeating, “Let Freedom ring”. And, he draws from several political sources such as the “the United States Constitution” and “The Emancipation Proclamation”. The above examples of great storyteller were touched on during Nancy’s talk at LinkedIn, and delved into with even more detail in her TED talk. 3. Imagine and poetically describe an amazing future. Great storytellers take a step back from their current reality. They declare the future using their prophetic imagination, and craft their words well. Their speeches are expansive and also contemplative, giving their audiences space to dream. If you’d like to learn more about how to present visual stories that transform audiences, Nancy’s book Resonate, is available in a multimedia version for free online.